Ask a hundred fishermen “what is the best bait for trout?” (or any given fish on any given day at any given location for that matter) and you will get a hundred different answers. Actually, you’ll probably get more as the anglers will change their minds at least once or twice before they settle on their final (almost definitive) answer. That’s all very well if you are sport fishing in your new neoprene waders, your car within easy reach and a nice hot shower waiting for you at your fishing lodge/ country club/ second home: but it’s no earthly good to the true backwoodsman who needs to catch fish to eat, or in a SHTF situation when initial bug out supplies have run out and its eat-or-die time. 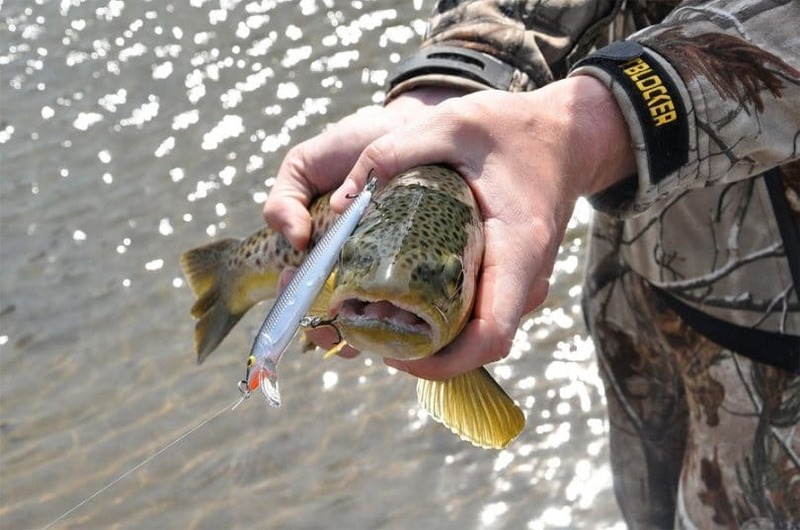 Check out our best trout lures for more information and options. Fish are a vital source of fats, oils, and proteins and with a few plant supplements can provide all that is needed for long time survival. Even more importantly fish will usually provide many more calories and essential dietary requirements for the time and effort expended than most other forms of meat. This time + effort vs. calories gained equation should never be far from the long-term survivor’s mind or course. 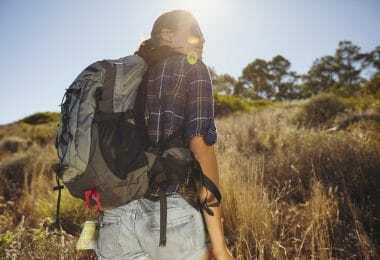 Although illegal to use in North America and most of Europe, the owning of nets is not and so a net of some description is a common Bug Out Bag item for many preppers. Their “set and forget” nature make them an ideal food provider. Setting long lines, with 20 or more baited hooks, and anchoring it securely enough to be effective is not as easy as it might appear. Although time-consuming it is another fire-and-forget method that allows the setter to get on with other tasks and still remain hopeful of a fish for dinner. There are some naturally occurring poisons that can be used to great effect in shallow waters to harvest a great amount of fish through relatively little effort (though the damming of the area to be poisoned and collection and processing of the toxin should be taken into account). Amazonian Indian tribes use the technique on a semi-regular basis, but without their encyclopedic knowledge of local natural toxins (that won’t remain in the fish flesh once prepared), it is perhaps one that should be avoided except in extremes. These come in all shapes and sizes: from woven baskets (effective also for collecting crayfish) to simple stone horseshoe shaped traps used in tidal zones. Although the initial outlay of effort is higher than other techniques, once constructed they will fish themselves and are significantly less prone to damage than long lines or nets. Far, far down this list, based on effectiveness alone, would be the use of rod and line with a bait to catch fish: but that is not to say it cannot be effective. 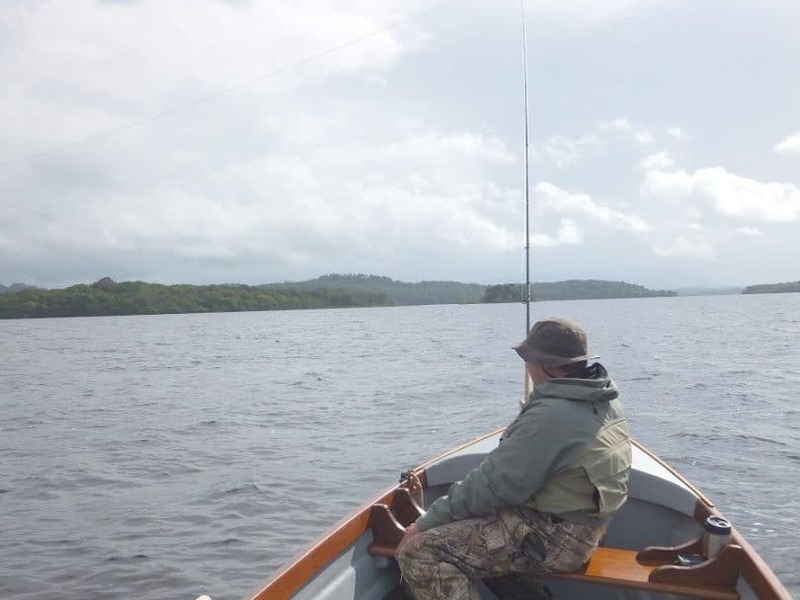 More importantly perhaps, for the wilderness traveler or resident at least, is the connection between man and nature that bait fishing with rod and line can bring and the portability of the approach. Whilst the survival fisher would be unwise to stray too far from their fish traps, gill nets or long lines, a rod and bait angler can search far and wide and is free to rove as they will. Of all the fish that the wilderness traveler might seek to target for the pot surely the trout must top the list: they are numerous, relatively easy to catch, will stick dependably to identifiable locations (unlike the far-wandering “silver tourist” the salmon) and grow to a good size. Oh – and they taste good. Really good. There are trout and there are trout. In fact, there are “true trout” and char since, rather confusingly, some of the fish that we know as trout (such as the very similar Bull and Dolly Varden Trout for example) are actually members of the char family. We will, therefore, set aside the scientific differences between char and “true trout” as irrelevant to either their eating quality or how easily they can be caught. 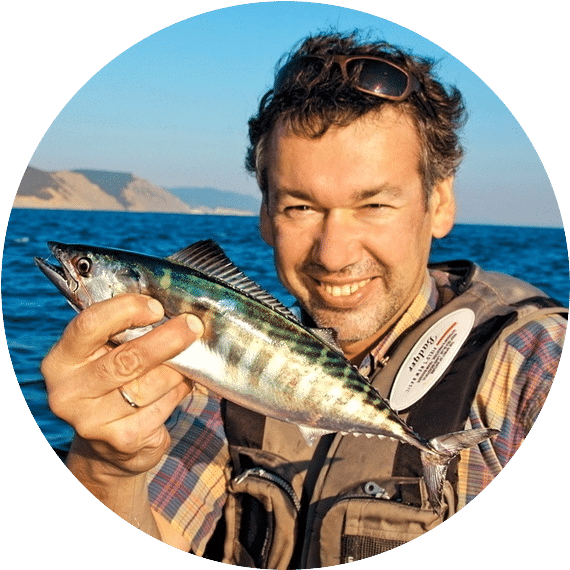 More important by far is the fact that different species will have different habits, habitats and (most importantly for the hungry fisherman) feeding preferences in terms of when, where and on what they feed. Being able to identify a trout, perhaps by finding the remains of a dead fish on a river bank or by seeing in the water, can help narrow down what bait will be most likely to catch, especially if the stomach contents of the fish are still available for examination. Since we’re focussing here on wilderness fishing it makes life a little easier: the key species to consider are the widely dispersed Rainbow, Brook and the Brown Trout varieties as these are the ones men are most likely to be targeting in the wildernesses of either North America or Europe. 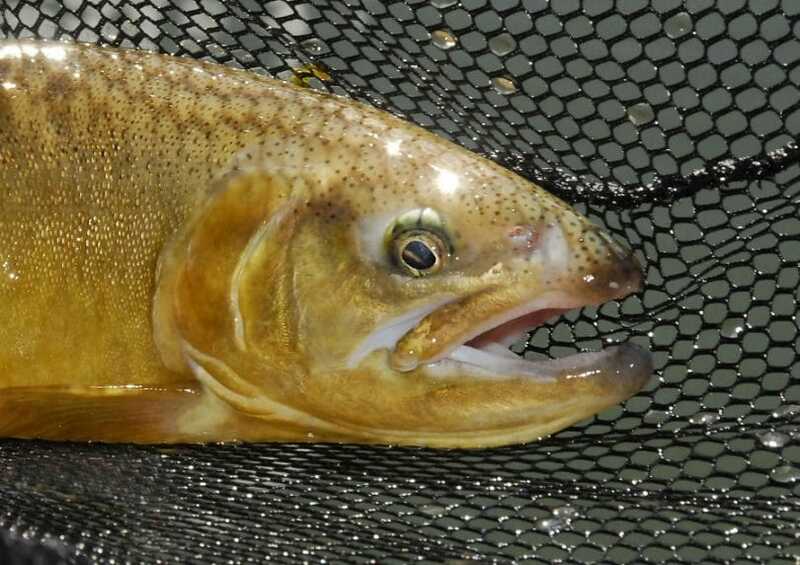 Though you may be tempted to think that the elaborate bits of fluff whipped around by city dwelling sports fishermen have no place in an article on trout fishing in the wilderness you need to think again. Those fly patterns, with their ridiculous names (“Hairy Dog Nobbler”, “Silver Doctor” and “Greenwell’s Glory” to name but three) have proved themselves as fish catchers, some for over a hundred years. In essence, an artificial fly is usually a representation, sometimes a very loose representation, of an insect (not necessarily a fly, despite the name) or another food item of the trout. Others bear no resemblance to anything natural and are instead intended to attract the attention of a fish and provoke a feeding or attack response. Artificial flies are sometimes named for the insect they represent (such as the “Black Ant”) whilst others take their names from the materials, often exotic, from which they are made, their creator (such as Dr. Greenwell) or on a whim of the person who first tried the pattern. For the wilderness fisherman lucky enough to be the possessor of a lightweight traveling fly rod (they can pack up very small indeed) and reel, and with the experience to use it, such flies will need no introduction. But if you are not a sports fisherman of many years standing they may still have their place thanks to a long-forgotten technique known as dapping. 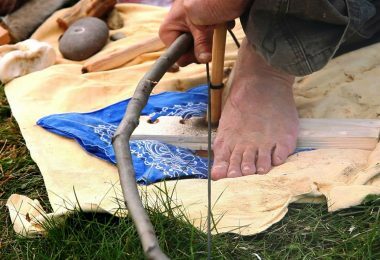 Dapping, for which the great tackle makers of England once created specialist rods, is a simple technique that can be applied very effectively in a wilderness or survival situation. Using a long green wood pole, preferably with a little spring in it (hazel is a good provider of these), and a piece of monofilament or similar nylon line of around 6-8ft in length completed with a suitable “fly” pattern, the dapper quietly approaches the river or stream bank (taking care not to let their shadow or image fall upon the water) before gently lowering the chosen “fly” onto the surface of the water. The fly, typically a concoction of feathers and fur intended to represent a mayfly or similar, should sit in the surface film and move naturally with any current (though when dapping the fisherman has little line to play with so should focus on stiller areas of water). 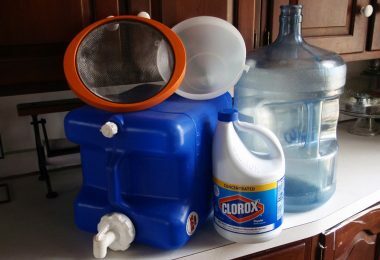 To help the fly float, rather than soak up water and sink as it might if left untreated, an application of deer or other animal fat can be employed. If this is not available then a quick wipe down the side of the nose produces another natural oil that can be used instead. This is true dapping as it was originally designed. The fly, typically a streamer or nymph pattern (see below) sinks below the surface of the water and the current pulls it and a little of the line to give the impression of a food item swimming up current. This technique allows the wilderness fisherman to still catch fish when they are not taking surface food items. The best spots to try this technique tend to be near over hanging branches, along with the edge of reed beds or where a “crease” can be seen on the water’s surface (indicating an underwater feature). Look too for the tell-tale circles of water created by trout taking food items from the surface – sometimes their whole mouths can be clearly seen and an audible “ploop” sound heard. The dapper must watch their bait carefully, striking gently but firmly upwards once it has been taken. Timing this exact moment can take a little practice: strike too early and the fish will not have taken the bait fully into their mouths, too late and the trout may have had time to notice something odd about the bait causing them to spit it out. Persevere though and soon a hook-up rate of 1:3 or so should be easily achievable. One great advantage that the wilderness fisherman has in using artificial baits such as flies, whether dapping or otherwise, is that they will usually be targeting “uneducated” fish. 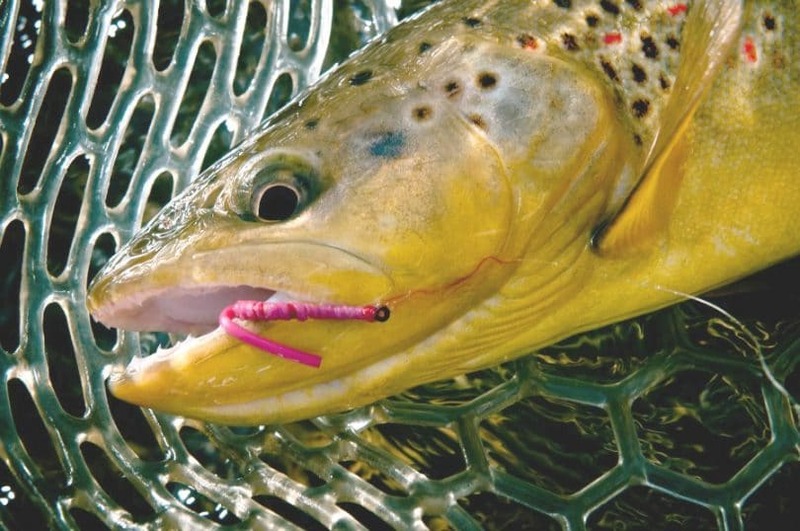 Trout in areas that are heavily sport fished, particularly where catch and release is practiced, will be much warier of such baits and much less likely to take a fly with confidence. 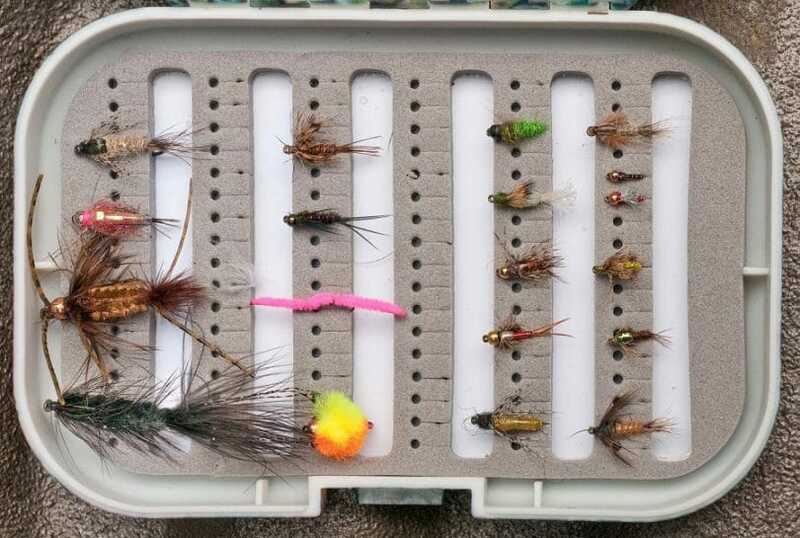 Trout sports fishermen have been known to load up the back of their vehicle with hundreds of boxes, so indecisive are they when it comes to choosing the right fly for the job. In bygone eras, when the lone fisherman might be deep in the Highlands of Scotland or some other remote place, they even went so far as to pack portable fly-tying kits to enable any pattern to whipped up on the spot. All this effort was expended largely due to the desire of the angler to “match the hatch” – in other words, to use an imitation that resembles a food item that is currently being taken by trout in the local area. Three “hatches” of insect, in particular, are of great significance: the Mayfly, Caddisfly and the Stonefly. All of these fly hatches are actually made up of several distinct sub-species that will hatch out at slightly different times, often prolonging the hatch over a period of several weeks. The Mayfly is the most famous of the summer hatches, and can (despite its misleading name) happen at very different times depending on how far North you are. In some areas, the Mayfly hatch alone will account for something like 20% or more of a fish’s growth during a year, and when the trout are taking Mayfly they will do so exclusively – so it is worth having an imitation pattern or two to hand. A selection of these will stand you in good stead and, with the exception of the Mouse pattern, are small enough to fit into a very small container (old style camera film containers are a good, water tight option). Mouse patterns are much larger and imitate small mammals such as shrews – best used at night when, accompanied with a bit of splashy casting, it can account for some of the most aggressive (and therefore largest) rainbow trout. Many of the patterns can be used with the “dapping” technique already outlined. No flies? No problem – make your own! Many bug out survival kits contain a few fishing hooks – these can easily be turned into workable artificial fly patterns using only natural materials. At all times remember THE FISH DO NOT KNOW THAT YOU DID NOT PAY FOR THE FLY! Wool from a pullover, small feathers (attach the projecting quill part and then wind around the hook shaft) or pieces of larger feathers, leaves and berries (great for adding a “head” to the fly) can all be easily used but possibly best of all are small scraps of fur or small animal tail (squirrel is particularly good) as these will look very natural in the water and contain natural waterproofing. Inline spinners (such as Mepps): these rely on the flash of the free hanging attractor blade to imitate a small fish going through the water and provoke an attack by a predatory fish (such as a trout). Though they come in a range of shapes and colors I’d recommend a gold or silver. Weighted spoons: so called because they originally resembled the head of cutlery spoons, these also come in a range of shapes and sizes. The main advantage these baits have is in their weight – allowing them to be cast far further than many other spinners. Crank and jerk baits (“Plugs”): mostly these are in the shape of fish and made of rubber, plastic or (particularly older ones) wood. A “bib” at the front of the bait causes it to dive under the water or skip along the top (the depth being determined by the shape and angle of the bib). Inline spinners Small and easily portable, tend not to sink too deep so rarely lost. Hard to use effectively without a fishing rod and reel set-up. Weighted spoons Can be small enough to consider taking, can be cast easily even with a hand-line or similar “Hobo fishing” set up. Will sink fast and snag on any debris on the river bed so easily lost. Crank and Jerk baits By working the baits, through tugs on the line and changes of direction, these baits can very effectively imitate prey fish. Deep diving examples will be easily lost. Need a fishing rod and reel to use effectively. Tend to be quite bulky. 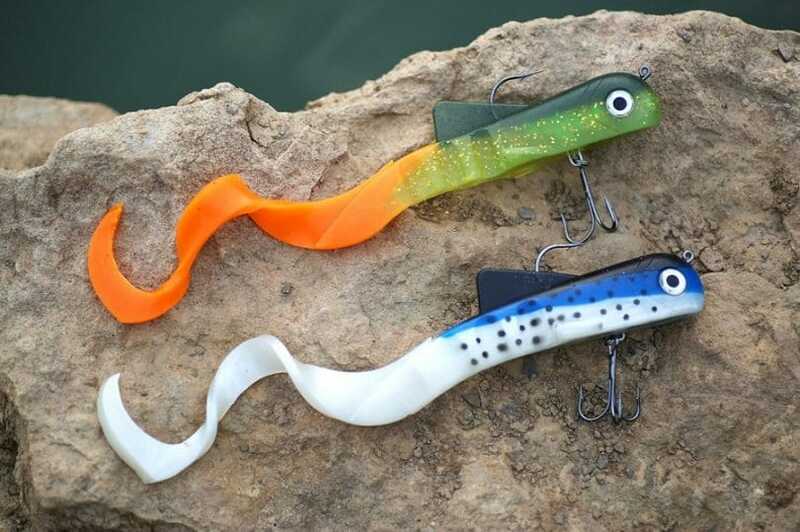 Many fishermen will advise the use of artificial lure baits like these after heavy rainfall when flies are less likely to catch and all have the significant advantage that they will tend to target the largest, most aggressive trout to whom a smaller fish is a potential meal. 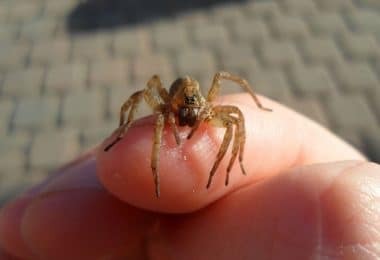 This can make the calorie burn for using them – don’t underestimate the effort of repeatedly casting or throwing them out – pay off, but probably only if you have brought along a rod and reel combination. In more recent years there has been an explosion in the production and use of a whole range of other artificial lures, mostly made of soft rubber, in a bewildering array of patterns and types. Minnows: by hooking a largish hook through a soft rubber minnow you have effectively created your own spinning bait (see above), but they can also be fished on a long line or handline, using the current of a stream or river to give them the illusion of life. Worms: finding and using live worms is not always as easy as you might expect (see below) but a rubber worm, either spun or, even better, just suspended in the water can make a great alternative. Eggs: during the spawning season many trout will feed on nothing but the eggs of their own (and other) species. Small rubber egg imitations can be used very effectively to catch surprisingly large fish (even the mighty sturgeon, the largest freshwater fish in the world, feeds on salmon eggs or “roe”. Very passable alternatives to the above can be fashioned from readily available materials: a boot lace for a worm, a piece of fish skin for a minnow for example. When considering the use of a live bait for trout, whether it be a fish, shellfish, insect or worm, for example, there is a key consideration that needs to be made, particularly in a survival situation: would the bait be better eaten by the fisherman than used to try and catch a fish? The larger the live bait the harder the decision might be to stick a hook through it and fling it into the water it all depends on the context. The wilderness traveler, out for a few weeks in the backwoods might not be particularly concerned about the calories in a nightcrawler, but someone who hasn’t had a decent meal in 3 days (and no immediate prospects of this changing!) might not be so carefree. Worms: trout are particularly fond of leaf worms and nightcrawlers, so much so that their use is banned at many sport fishing venues (largely because the trout hook themselves so deeply on them: good news for the hungry wilderness trekker!). Nightcrawlers are best gathered at night by the light of a shaded torch (a red filter is best) on wet grass or scrub: you need to be fast though as they are surprisingly quick to retreat underground. An old angler’s trick is to wet the forefinger and thumb and rub them in sand or grit – this makes a worm escape much less likely. One good sized nightcrawler can go a long way; used in sections of 2-3” rather than all in one go. Fish: small fish such as minnows or immature fish of any species might be worth considering for use as bait, but more often it is better to eat them rather than take the gamble. In the instance of excess, however, they can be dried in the sun or salted to preserve them for later use as a bait. Minnows can be easily caught, where they are to be found, using makeshift nets (socks etc.) or traps (glass jars or drinks cans can be adapted for this). 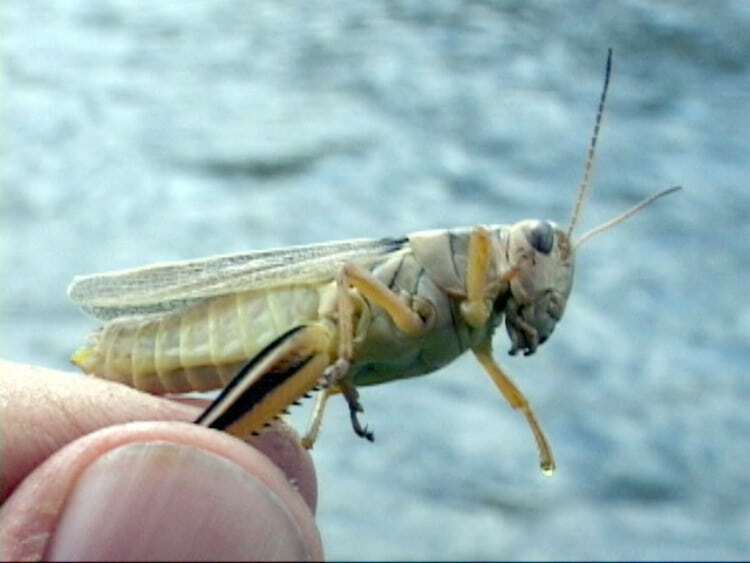 Insects: grasshoppers, beetles, large flies etc. can be used as live bait, and are perhaps less of a calorific loss than fish. The difficulty can be in hooking them in a way that allows the hook point to strike into the trout and without losing the bait too quickly: a little thread (preferably elasticated, such as can be found in the tops of boxer shorts) wrapped around the bait and hook can be a great help here. This list is by no means exhaustive: frogs, crawdads (although’ again, it is probably best to eat these), limpets, mussels (particularly in areas where pollution or Red Tide make these latter too dangerous to eat themselves) can all be used to great effect for example. What Bait is Best to Use? The bait options for targeting trout are, as can be seen, wide-ranging – and much of the skill in fishing is in selecting the right bait for any given situation. 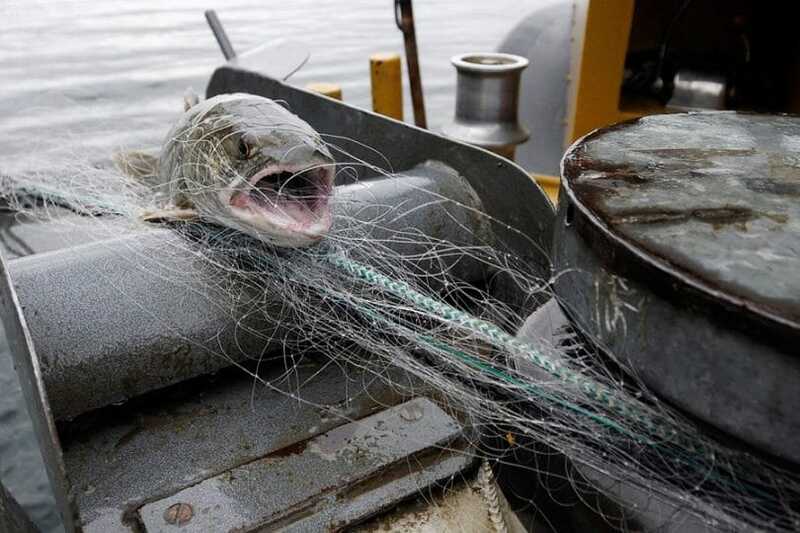 This is largely a case of trial and error, with far too many fishermen going hungry because they refuse to adapt or change their strategy and bait. It can take a little while for an angler to correctly identify the best combination of location, time, bait and technique but, once this has been identified, a plentiful supply of food is often made available. Frustratingly it is often the case that what works for a while will suddenly prove less successful, as the fish become more wise to the bait being offered, the seasons change or some other environmental factor takes effect. The best bait is the one that puts a fat trout into your frying pan on that given day, and there is no magical formula to know what that is going to be. It’s why they call it “fishing” instead of “catching”. Still, if you think we forgot to add something to the list, let us know. We are always eager to have a complete knowledge about fishing. Let technology help you bag the biggest catch. Check out our reviews of the best fishing apps that every fisherman will need in their fishing adventure.